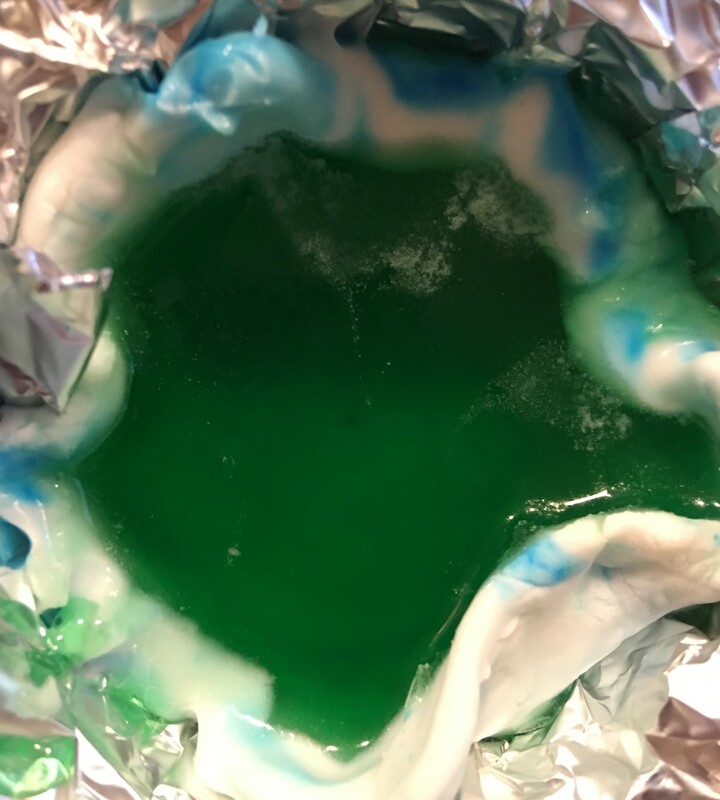 My hope was to make them in class one week then leave them to crystallize, 5 days later check on them, and then reveal to kids at the class on day 7. 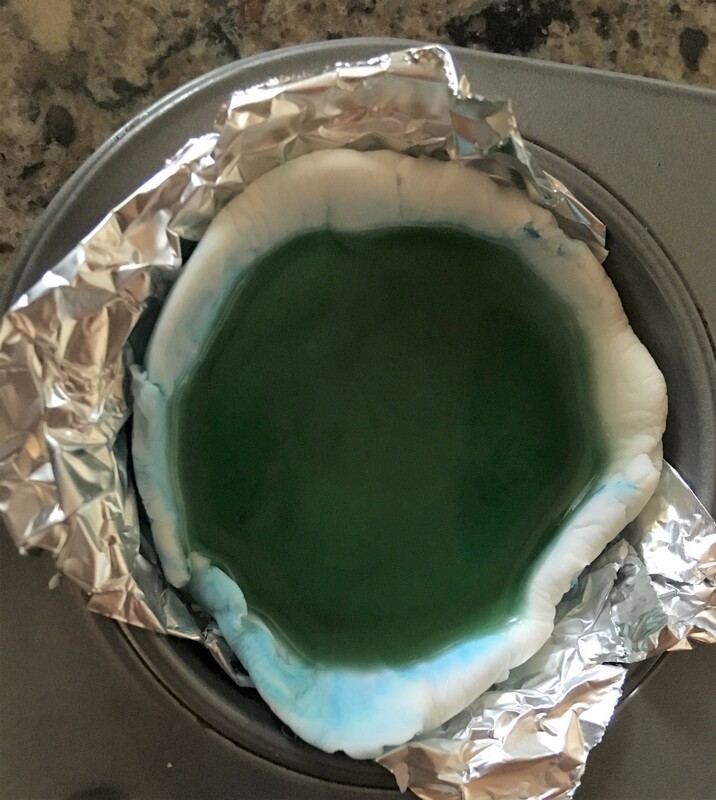 Here’s the process I used: I ordered Fondant. 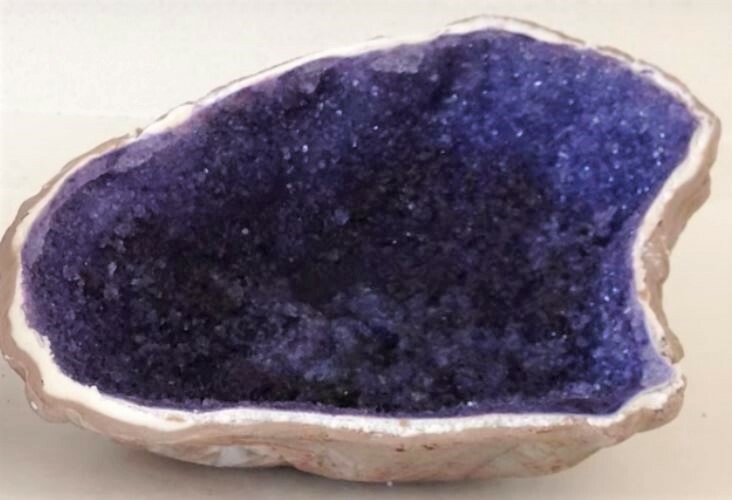 (I think 1 pound will make 10 or so geodes). 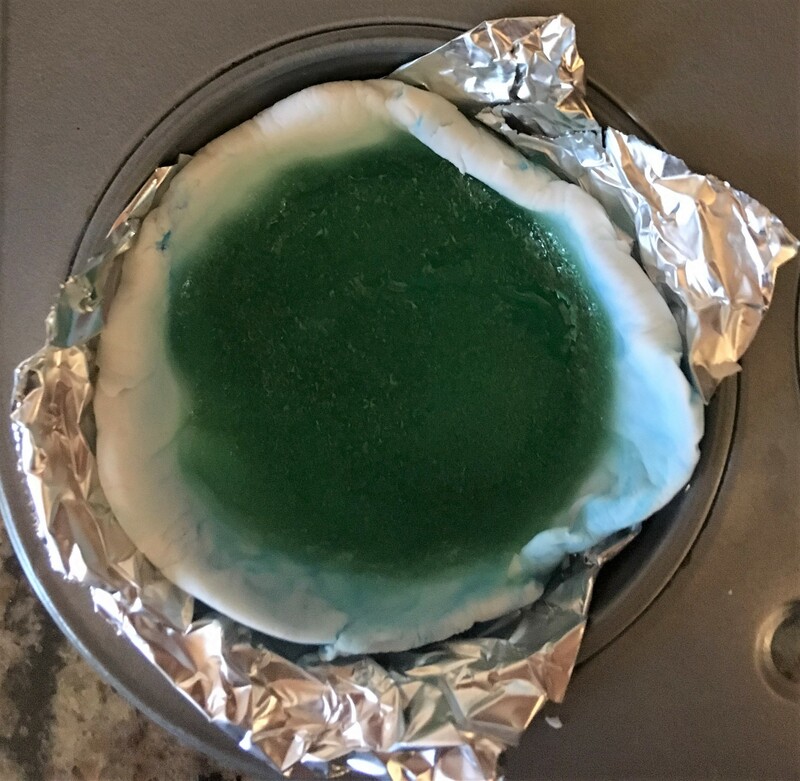 This brand of fondant was nice to work with – didn’t stick to our hands, and soft enough for a child to work with easily. 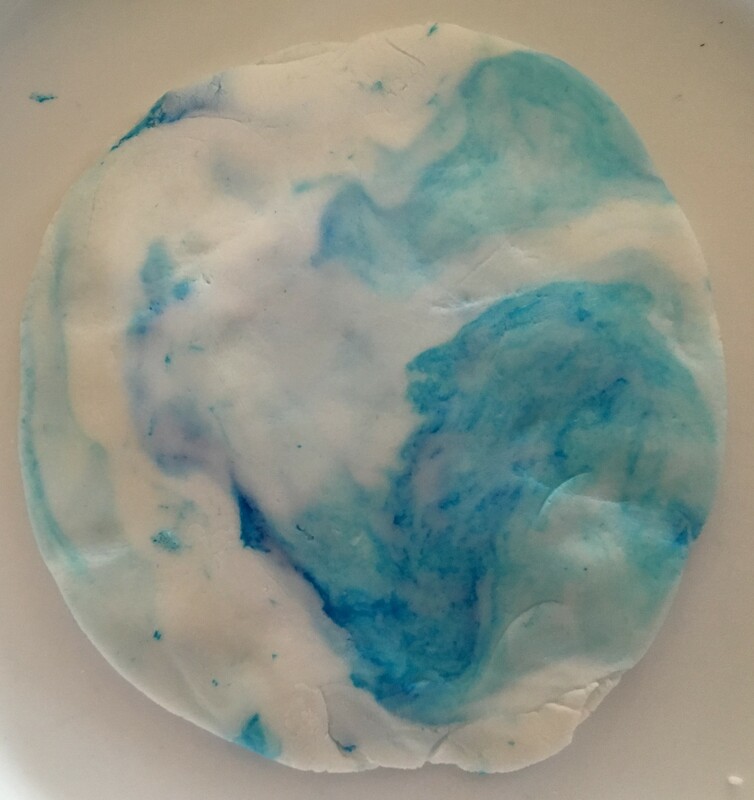 I took a piece of fondant about the size of a ping pong ball, squashed it flat, and added four drops of gel food coloring, then had my son roll, twist and mash it till the color was nicely marbled through the fondant. (Note, you could also choose a black fondant or other color and mix it with white fondant.) Then we squashed it flat – you could roll it with a rolling pin to flatten it more. 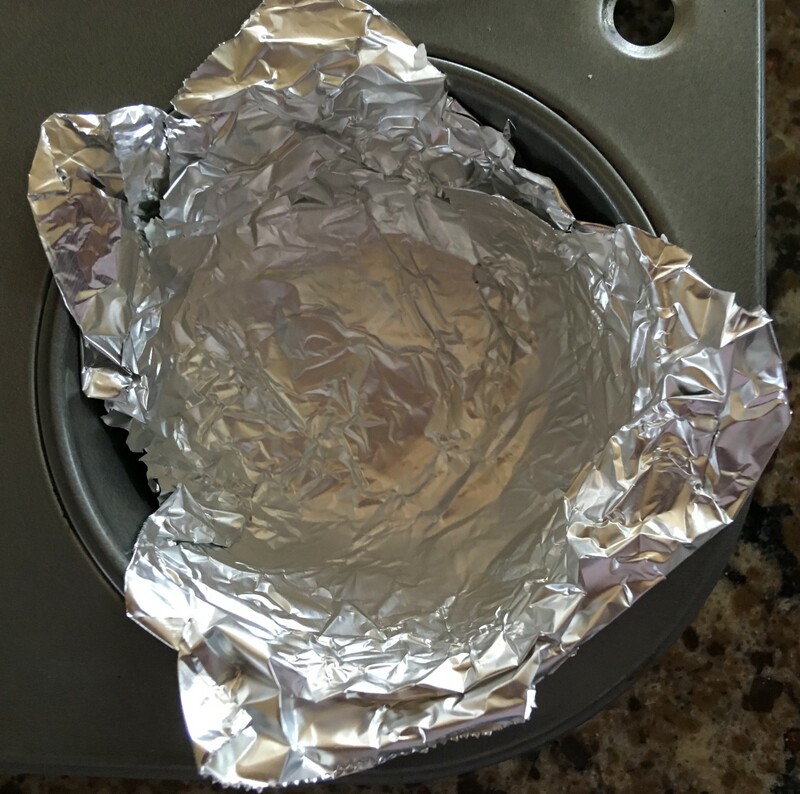 Then we pressed the fondant into the foil-covered muffin cup. Then we mixed up a super saturated sugar solution with one part water and two parts white sugar. (I think you could make a 1:3 ratio work if you heated it on the stove and stirred. With this concentrated syrup, the evaporation process might be faster.) 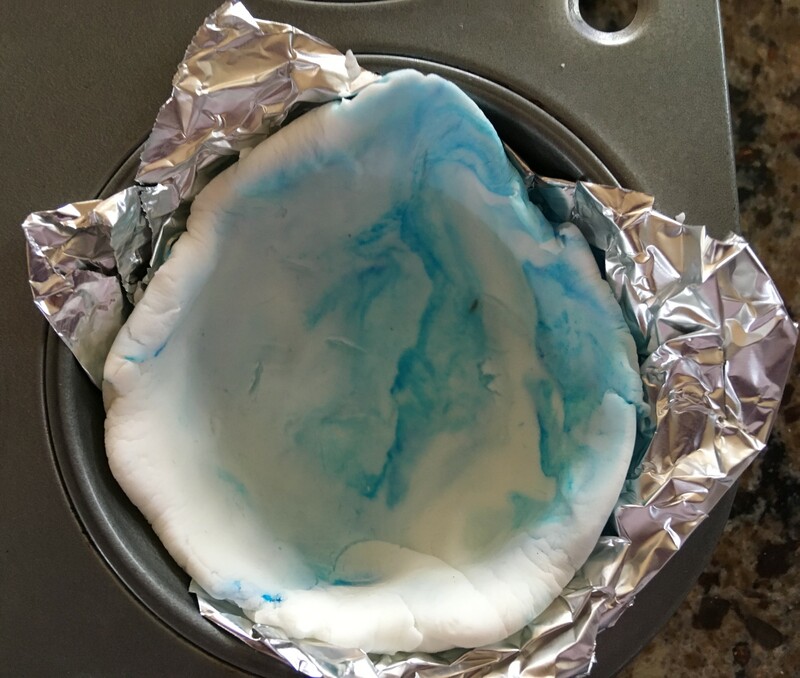 One cup of sugar syrup made three geodes. 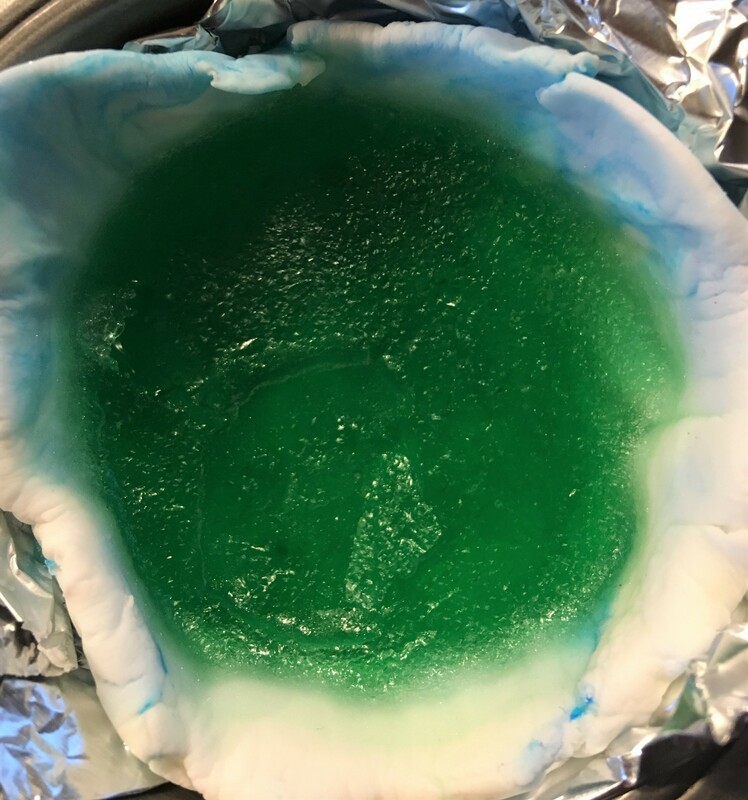 We poured the sugar solution into the fondant cups and left them on the counter so the water could evaporate and the sugar could form crystals. Here it is after two days. 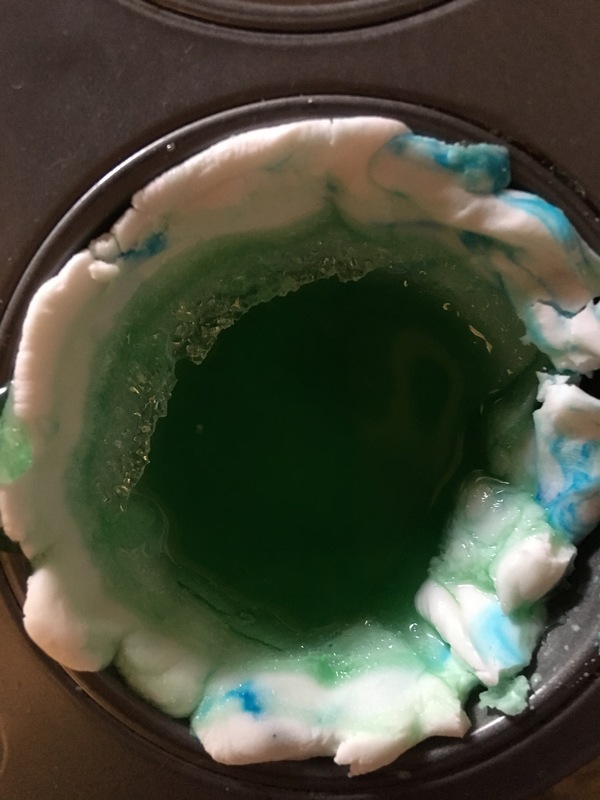 A crust has formed over the top, but it’s still clearly liquid in the center. My son poked a hole in the crust, so I poured off some liquid. So far…. it’s an easy project. Not sure if the results will be nice enough to make it worth the cost / effort.